The German Shepherd dog, called Max, belonged to Mark Stephen Champion, 46, and Julie Whitehead, 52, and had been bought following a spate of burglaries in their neighbourhood. 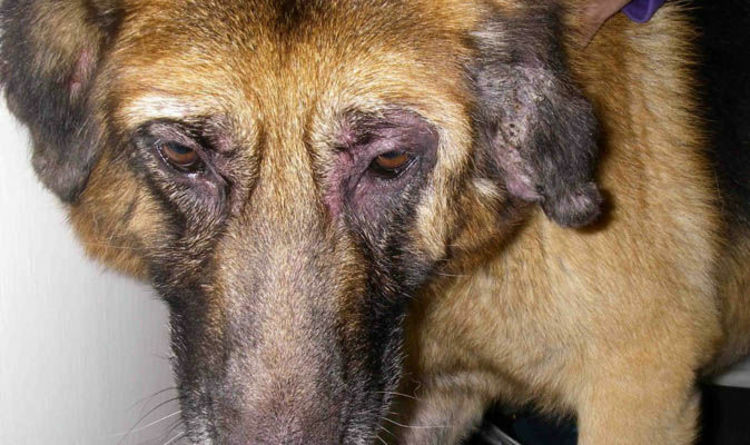 But Max began suffering painful skin and ear conditions, which grew so bad that his suffering was described as “the worst the vet had ever seen”. In fact, when he was discovered by an RSPCA officer at their home in Thorntree and taken to a vet, he repeatedly rubbed his ears and face against the vet. Sadly his condition was so bad, that the decision was taken to put him to sleep. Champion and Whitehead appeared at Teesside Magistrates’ Court on Wednesday and admitted two charges of causing unnecessary suffering to a protected animal. Neil Taylor, prosecuting, said tragic Max would have been in severe pain for several years and “was constantly shaking his head and scratching his ears". He said: “The ears were hot to the touch. Julie Whitehead said she knew she had neglected him. When Max was taken to Stanhope Park Veterinary Hospital, in Darlington, he was found to be underweight and had patches of fur loss around his eyes. As well as “constantly rubbing his ears and rubbing his face against the vet,” he also had infections in his skin. Mr Taylor said the dog’s suffering was “the worst the vet had ever seen” and Max is believed to have been in “intense pain for at least two years”. The court heard the couple, who have two children, were in financial difficulties and could not afford veterinary care for Max. A report prepared by the probation service said they did not ignore the problem, and attempted to treat Max’s issues without veterinary help. The court heard Whitehead was “very very scared” about what would happen if she did approach the vets when his condition worsened. Whitehead, of Barrington Crescent, Thorntree, Middlesbrough, was given an 18-week prison sentence, suspended for 12 months. Champion, also of Barrington Crescent, Thorntree, Middlesbrough, was given an 18-week prison sentence, suspended for 12 months. They were each ordered to pay £115 charges and £150 costs. The £576 in outstanding vets bills will be paid for from central funds. Both were banned from owning animals for life and may not appeal for five years.